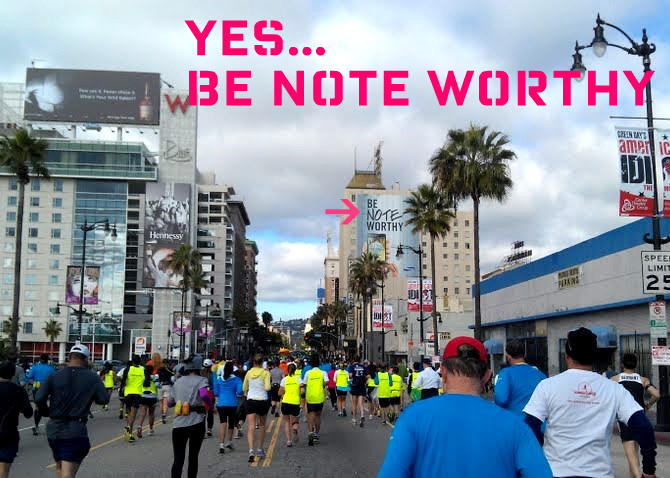 RUNNING LA: Once you reach mile 26, the rest is easy! 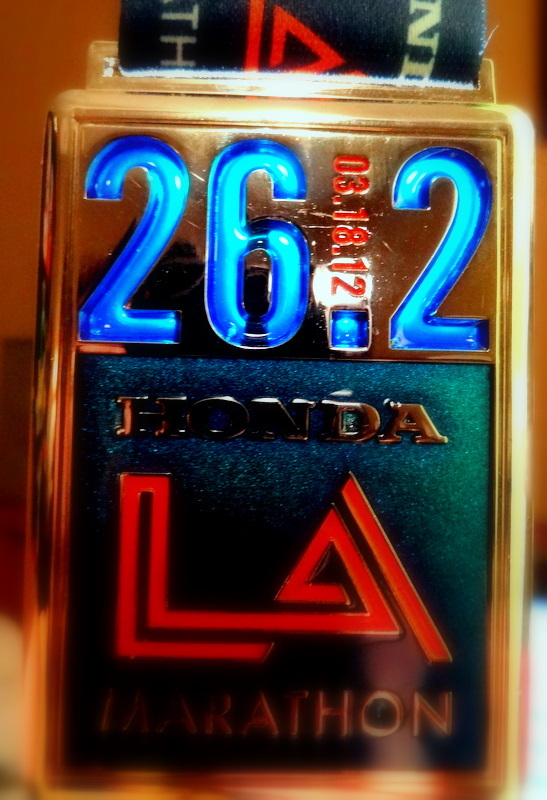 The 26.2 totally glows in the light…. Matching the glow I had inside and out after I crossed that finish line Sunday. Radiant with a sense of accomplishment. …To the day prior, making sure I hit up the Expo. I had the pleasure of my Dad accompanying me since he would be unable to make it to the race the following day. It went full circle though because it was about 10 years ago that I remember going with him to an Expo at the Convention Center, for one of the LA Marathons he ran. I remember how fun that was. Unfortunately we didn’t have the luxury of being in doors. 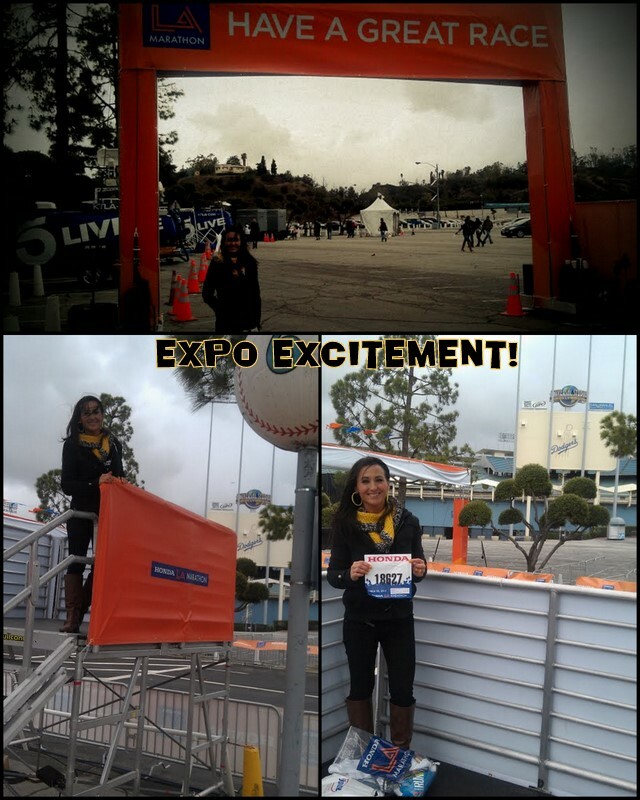 This year was a battle of the rains, as the Expo was held in the lots surrounding Dodger Stadium. The weather was being closely watched in preparation for the events of this weekend. That didn’t stop the festivities from going on anyway however. Picking up race goodies is like Halloween for us big kids lol. I could feel a sense of excitement brimming from my bag as the volunteer handed it to me along with my bib number (18627!!! ), followed by my race shirt. It all begins to feel so real. Seeing where the starting line is, and the announcer booth where that gun goes off just brought home the reality of what I’m about to embark on. I couldn’t wait!! Excitement is in the air!! Being there with my Dad was extra special of course. He knew exactly what emotions were going through me at that point. We joked around a bit about him having second thoughts with not doing the race….they were after all, still taking registrations for the marathon that day…. But that was a no, but it made for a good laugh! It was an emotional journey for both of us even until that day. If you may have noticed the inspirational quotes popping up around my Marathon Rationale part 1, 2 & 3, my Dad had sent me a daily encouragement (via text) everyday from 18 days out, till the race. I looked forward to it so much and loved to hear his bit of humor or inside jokes he’d add with it. Nothing like a loving father to deliver the encouragement to his daughter, when it was so needed. He dubbed the race a MARISAthon… thought that was kind of funny. And the short tapered runs were almost easier to want to give up on because at that point it doesn’t seem to matter so much. It was like, “come on, do I really NEED to run these 3 or 2 miles?! !” (whiny voice of course) I could do those with my eyes closed and backwards now, is it really necessary?!! But alas my instinct and dedication got me out the door every time. I knew I shouldn’t sell myself short. I’d come too far to let it start slipping. I wouldn’t regret it. After pre-race excitement kept me up longer than I wished the night before, it was time to head out the morning of the race! My sister Brianna and her boyfriend James were sweet enough to drive me out there at 5:30 in the AM. It was great having their support there with me, to see me off! Nothing more than sheer happiness and that head-over-heals exciting feeling, could be felt from the crowd, as I made my way through what seemed like an endless amount of people… The threatening rain storm that was presumably to dump down on us that morning, seemed more overwhelmed by the sea of intensely ready runners. Each with their own reason, motivation or vision. 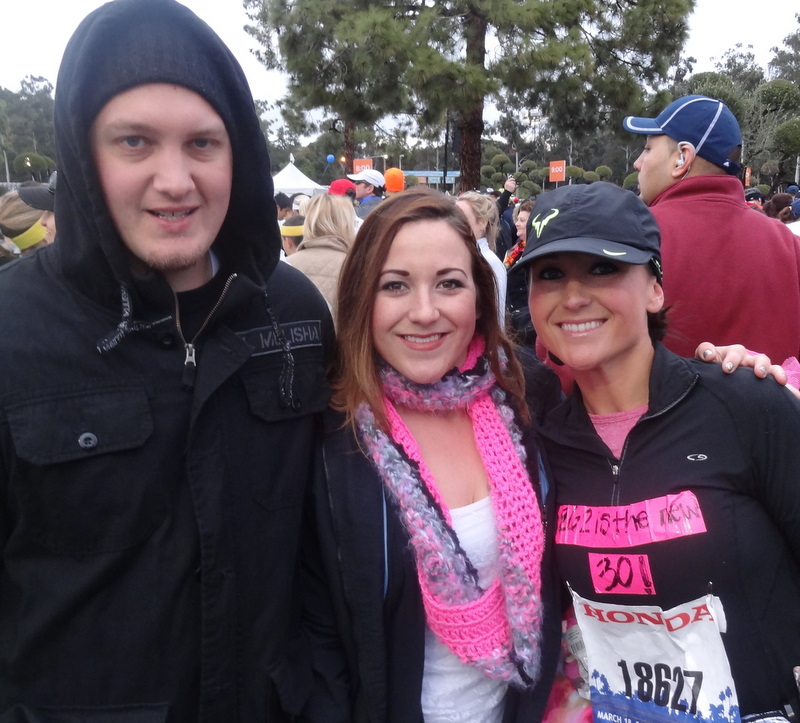 I thankfully was able to start the race with my sister-in-law Jamie and her group. It seemed like FOREVER after the gun went off, before we even started. I was so unprepared for how long just that would take. We didn’t even make it into a corral. Everyone just kind of fed into the starting area slowly but surely. It was a nice relaxed start to the journey. 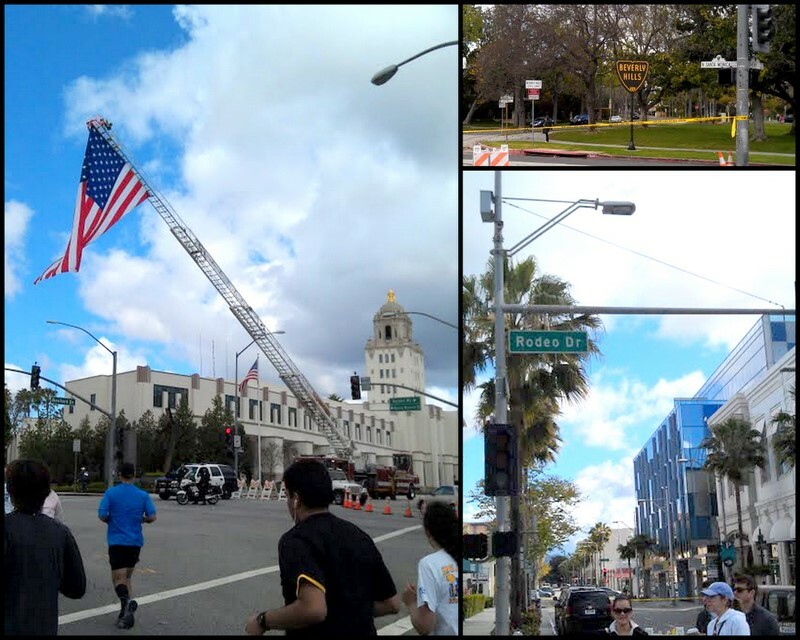 So in going with the notion to totally take in the entire experience of my first Marathon, and that we were “Running LA,” I made sure to take photo’s along the course. About 3 miles into it I was sure that I didn’t want to forget any of it…the sights…the sounds…the sweat….it was all part of the experience that was probably the BEST thing I have ever done. 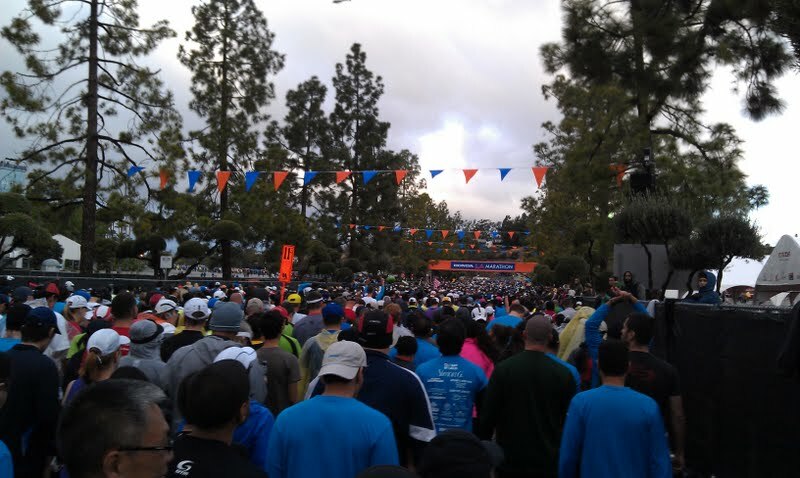 The amount of support out on the course was truly amazing!! SO many people were out there cheering us on, live entertainment and just the positive energy felt by the runners was incredible. There seemed to be subtle reminders everywhere, so prompt with regards to my emotions at the point that I would take in whatever the hint of inspiration was. 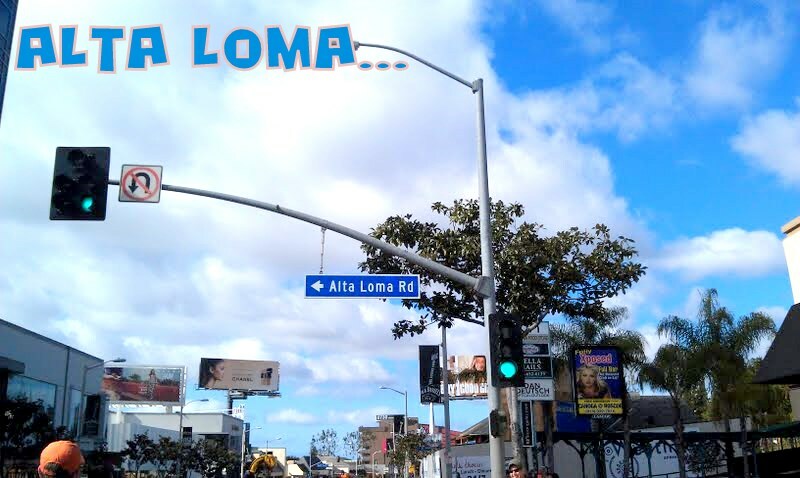 Whether it was a message on a billboard, running past a street with the same name as the town I grew up in…. 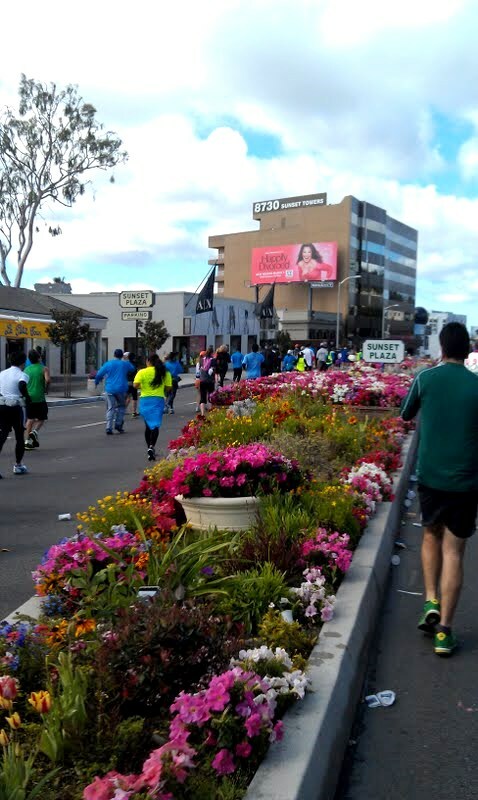 Or simply a beautiful bed of flowers greeting us down Sunset Plaza… the sweet pink varieties emulated the variety of runners in determined step beside them. I took a bit of each reminder as comfort to the journey at hand, and that with each step I committed to, there was a guidance almost outside of myself helping me towards the finish. Then of course there was the run through Beverly Hills and down Rodeo. A unique moment of streets who were normally lined with shoppers and their shopping bags in tote, now lined with spectators and encouraging signs. And a great shot with the American flag, that I forget at which point I saw this, but it was just an awesome sight! I know my words will not do justice to the incredible feelings that were the experience of my first marathon. It was seriously the most unbelievably enjoyable and memorable 5 hours of my life. I mean bringing my beautiful babies into the world was amazing, but running a marathon is so as much amazing in its own way! I hardly noticed the pain at times, when the miles felt as though they were just running through me. The wall I think I may have hit was probably sooner than I would have expected, but I was able to pull through it and find the best of me through the last 5 miles of the race. 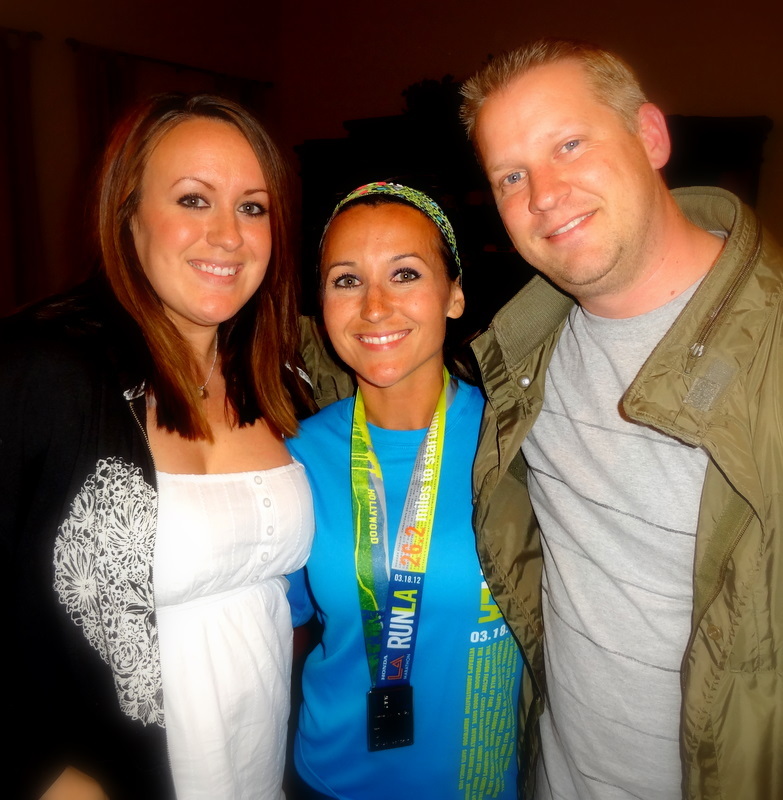 The five miles that I was most fearful of all along…. THE UNKNOWN! As a first time Marathoner, you really trust that these training programs are enough to get you through. Training up to 21 miles hardly seemed like enough, but how could I question the experts? The surge of adrenaline when I hit 22 was awesome. Around that point, it just became an inner celebration. My inside felt accomplished by every mile, as I knew it was happening… I was going to finish soon, and I was finishing strong! 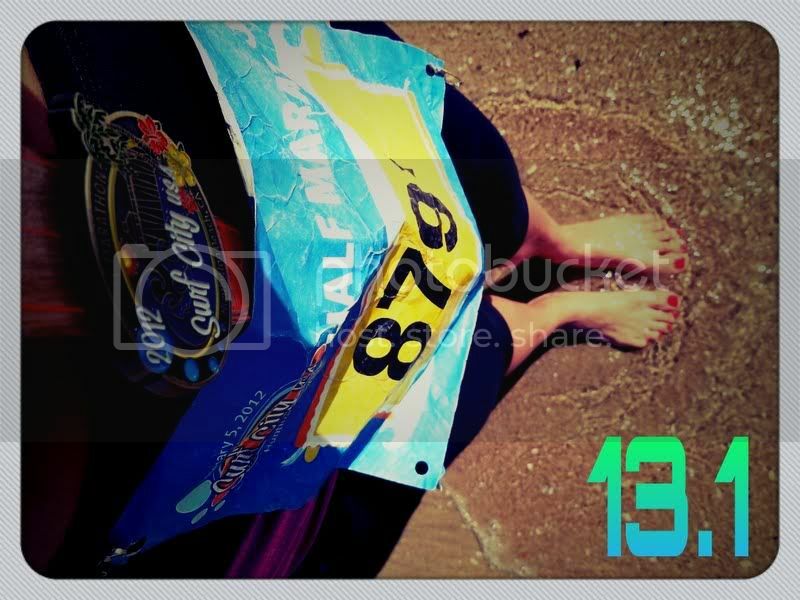 You bet I took that beer shot around mile 20 too….I didn’t care if there would be repercussions to it later, I was ready to start celebrating my inner feat! 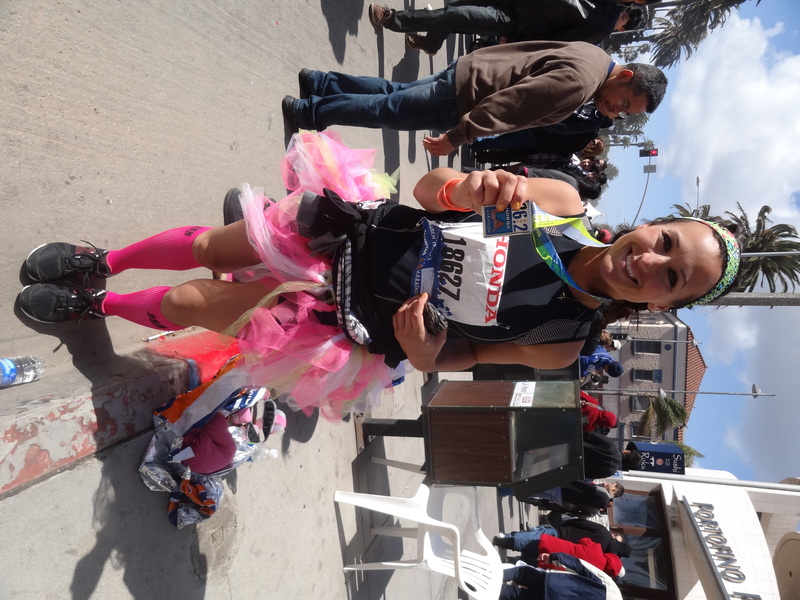 So happy...I was feeling my finishing moment awaiting me! Yes my Dad was with me, at every mile, reminding me not to think too much of what was still ahead, but what was already behind me. THIS IS TRULY what got me through it. My mind was so strong with this thought. As I carried on through mile 25, it was with joy because I wouldn’t let myself struggle through 1.2 more miles. I would relish in the fact that I already had 25 behind me. It’s amazing what the mind does to keep us going…and I kept going, with intensity! And I did it in 5:05:38… not too bad for a first timer, and to have fully enjoyed every minute I am quite proud of my time! I’ll be honest that I was hoping for under 5 hours and now looking back…stopping to pee (hey it has to happen after that long! ), encouraging one of the SRLA runner’s with a few words and high-five or maybe holding back on some of those photos, could have shaved off those extra 5 minutes and given me that. But honestly it might not have been so worth it. I loved every extra minute that it took to take it all in, every minute spent encouraging others, or taking encouragement from them. 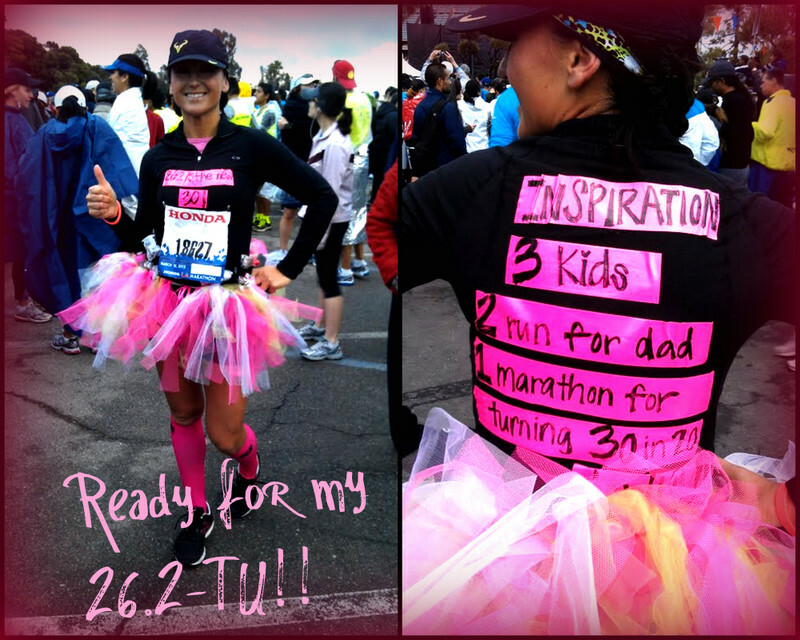 Stopping for high-fives, smiling for a camera or someone shouting “YEAH, GO TUTU!” made it all worth it! Being greeted by 40 mph winds at the finish down in Santa Monica, was not the most pleasant but I’d take it any day over the rain. Crossing the finish line was an amazing moment. 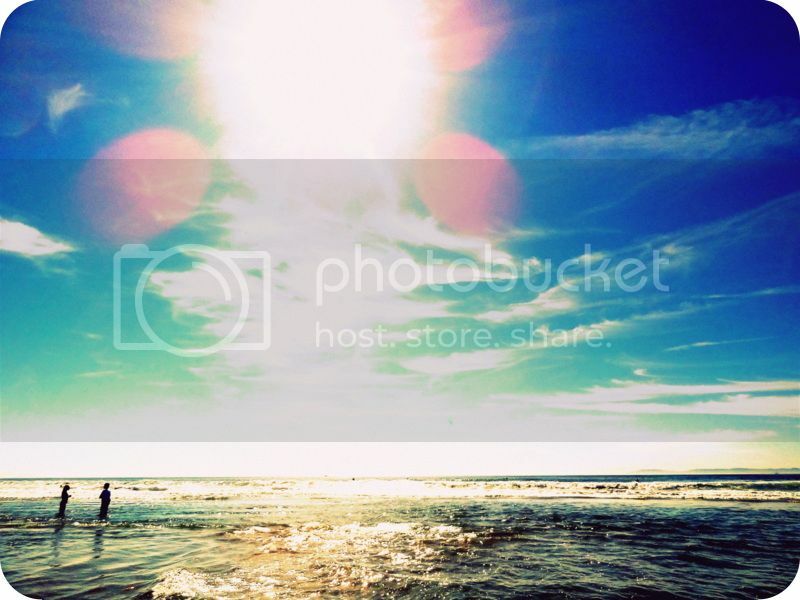 I have a really great photo that I’ll be sharing soon of it. I was able to find my sis eventually and after I had a massage of course (got to get on that for those tight muscles!) Then we were on our way! My mom had an awesome post-race meal and little party to celebrate my accomplishment! Plus my parents’ jacuzzi tub for a soak was just what the doctor ordered!! 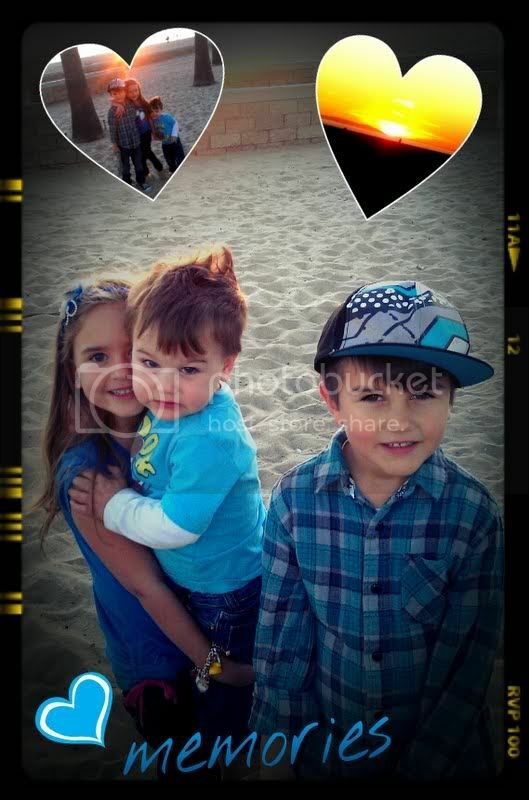 Even my sister Jackie and her hubby Andy and the kids surprised me by coming up from San Diego to celebrate. They said they couldn’t miss it, and literally decided to come up that morning. It meant SO much to know that they made that much effort to be there for me. Even Jackie now feels inspired to run a Marathon after seeing me make it through this experience. 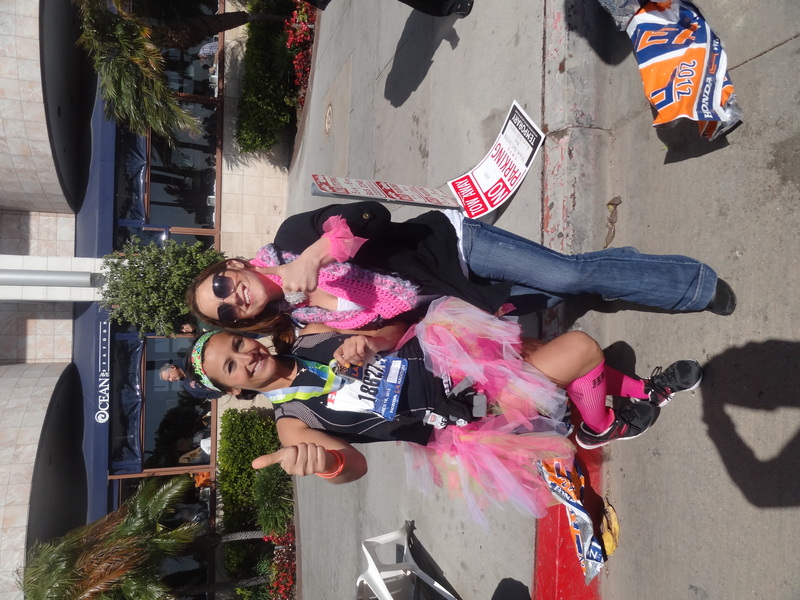 She was so encouraging through this process as well and during my race through text. 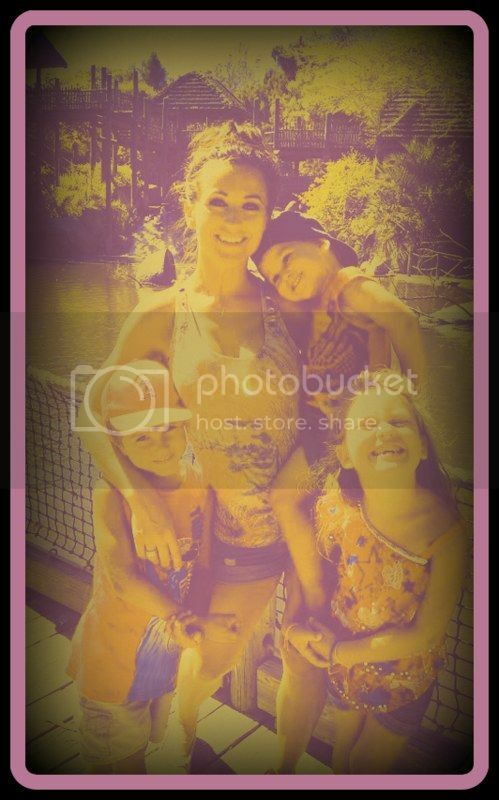 I can’t wait to be there for her when she decides to do one! 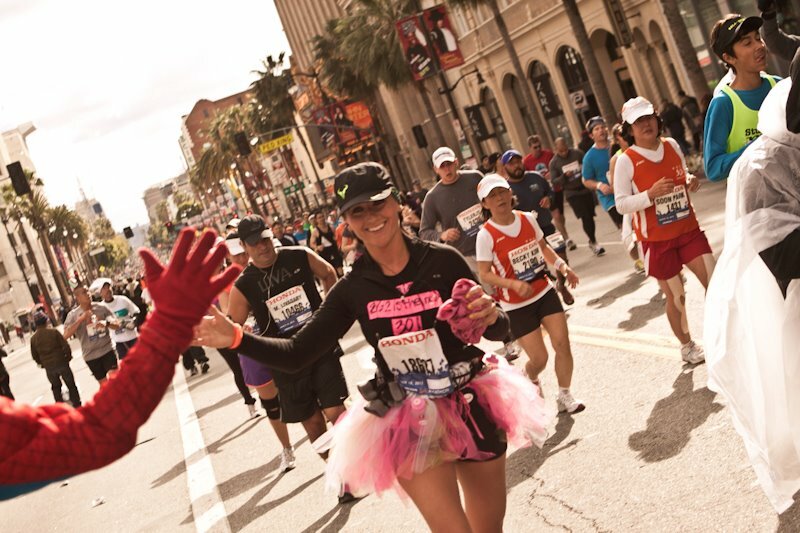 I want to go so far as saying: everyone needs to run a Marathon SOMETIME in their life!! Okay, maybe that was a bit extreme but really I think anyone could benefit from the process of struggle to triumph through what is an incredible amount of support and encouragement, you’ll feel as though the world want’s you to finish. I have no other real races to put this up against in the marathon department, but for my first I will say it has set the bar high for me, with all the supporters throughout the city itself, and volunteers helping the process. It was something I will NEVER forget, a moment of moments that will now be locked up in my vault of experiences that have changed my life forever! 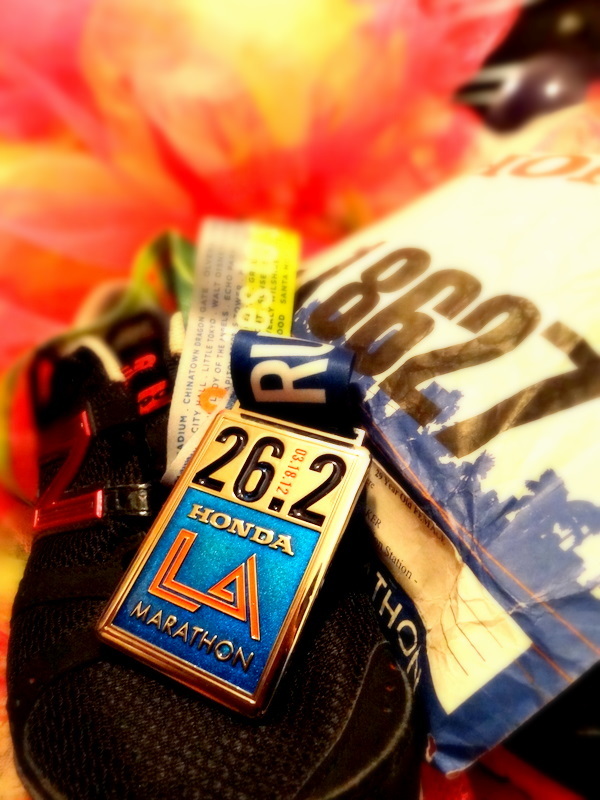 26.2 motivated, inspired, ran and accomplished. 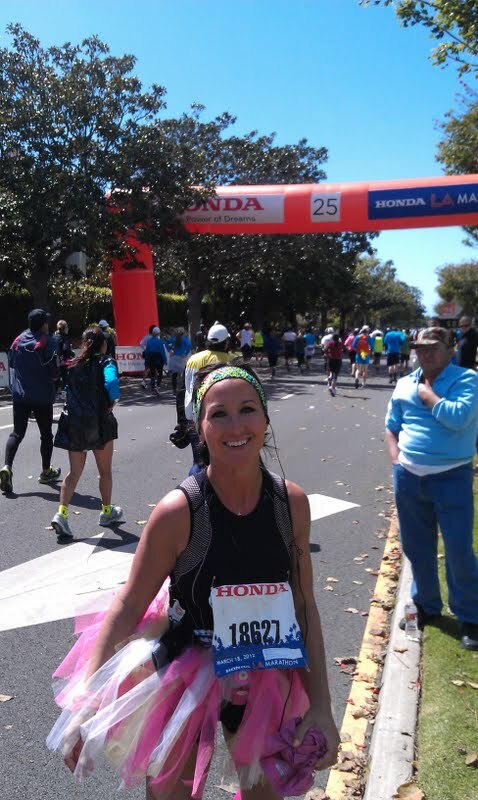 As I set out to make 26.2 the new 30, I DID for me! So I ran with DEDICATION and I ACCOMPLISHED!! Nobody ever said it would be easy…. P.S. 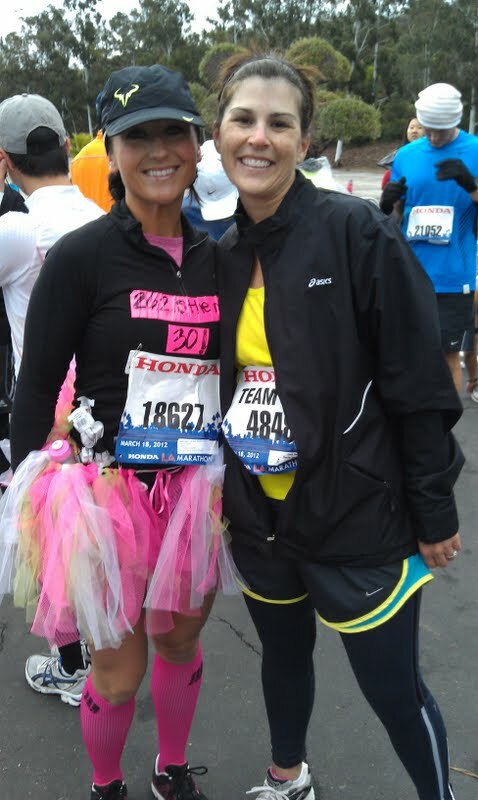 This may have been my first marathon, but I decided it’s not my last! I started out not believing I could do one and now I don’t believe how I couldn’t do another one!